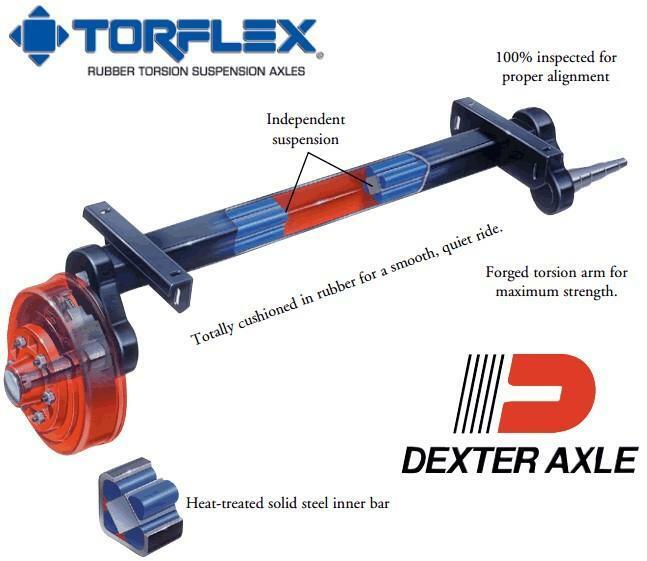 Floor Crossmembers 2" X 3" Angle. 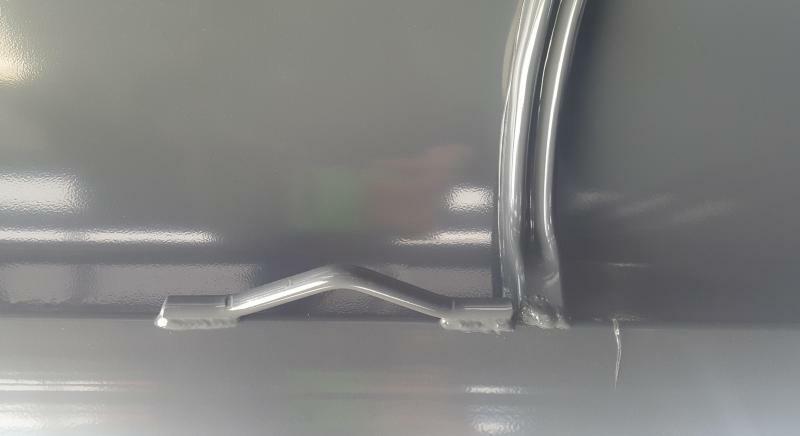 22" OC. 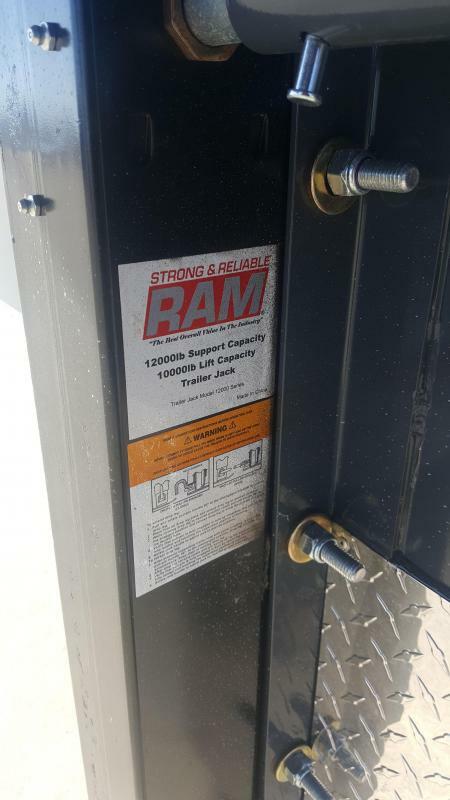 Roof Crossmembers. 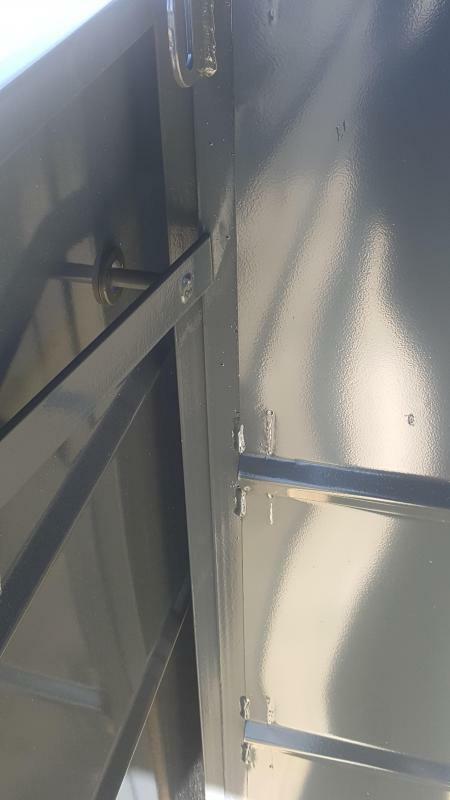 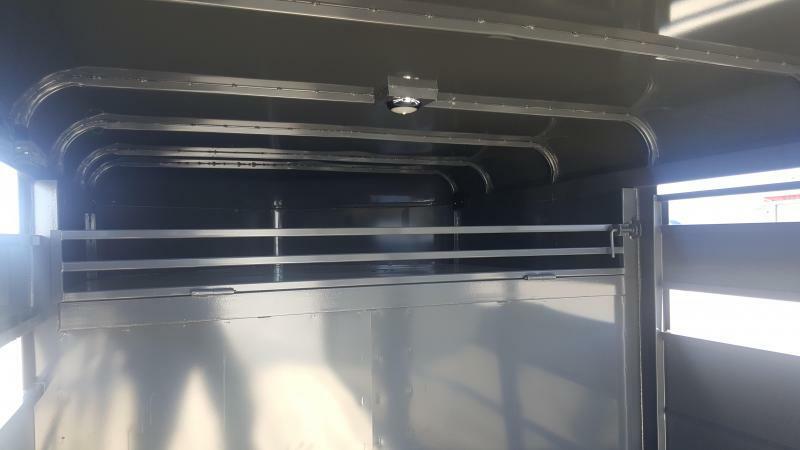 1" X 1" Tubing 24" OC. 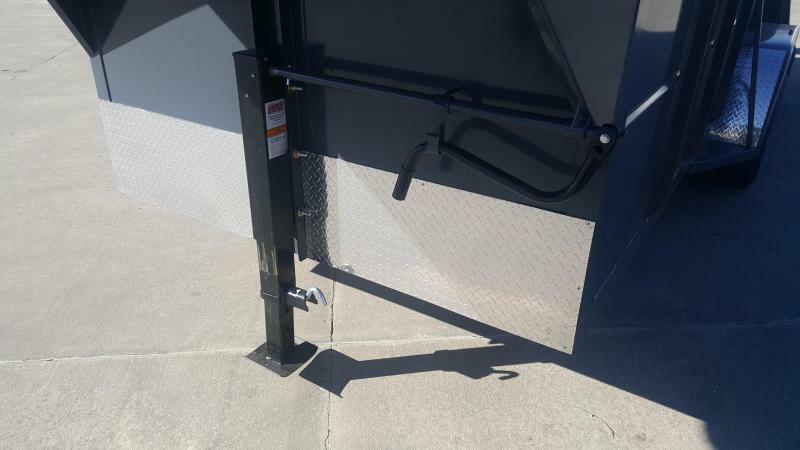 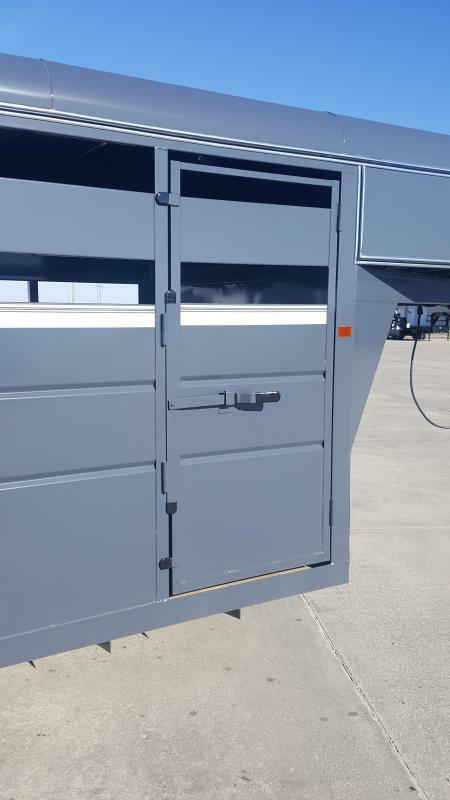 End Swing Gate Width 73 1/2"
End Swing Gate Height 6' 5"
Slide Gate Opening Width 32 1/2"
Slide Gate Opening Height 64"
Escape Door Opening Width 31"
Escape Door Opening Height 65"
Built from the ground up to take on all kinds of abuse from rough roads, terrain, and restless livestock, Valley Trailers provide a high quality livestock trailer at a competitive price. 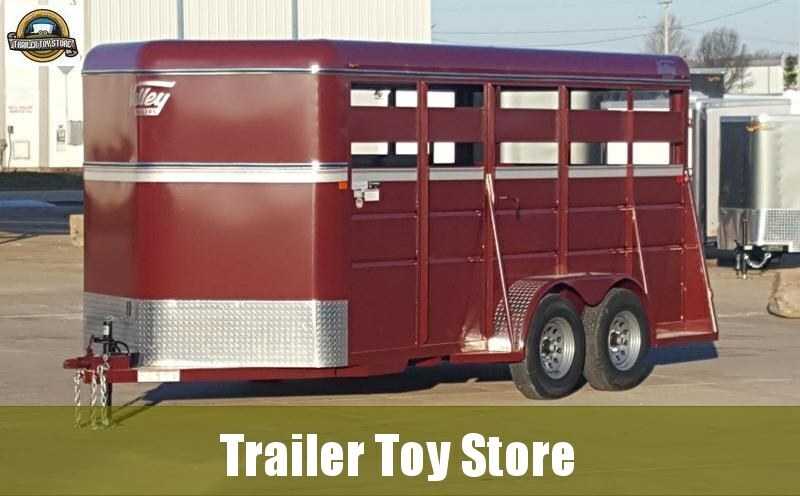 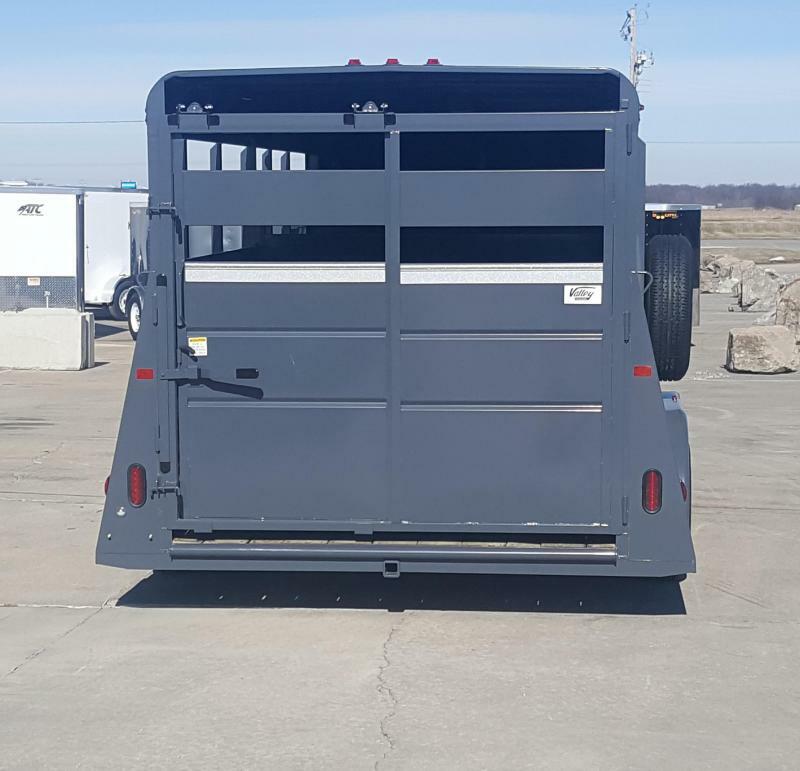 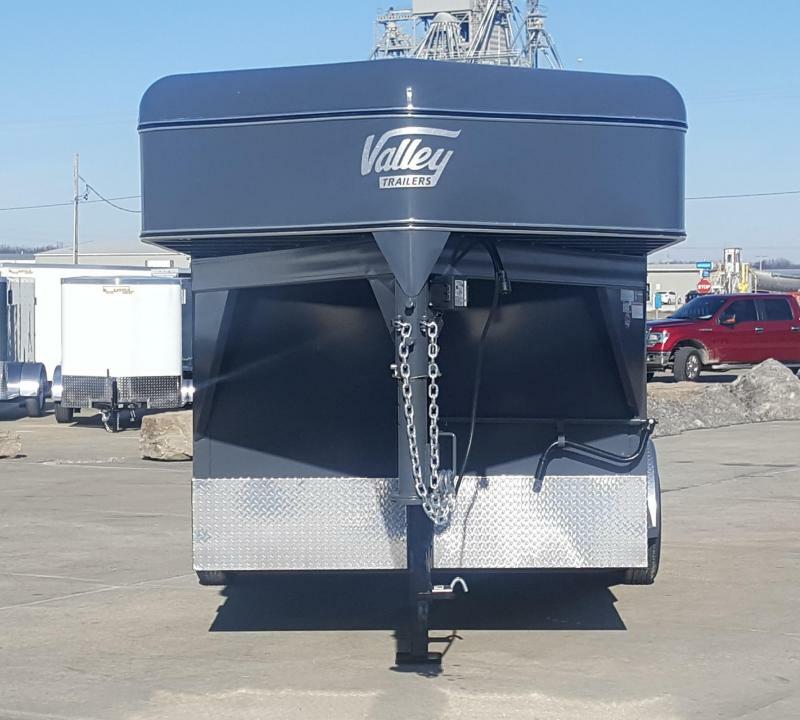 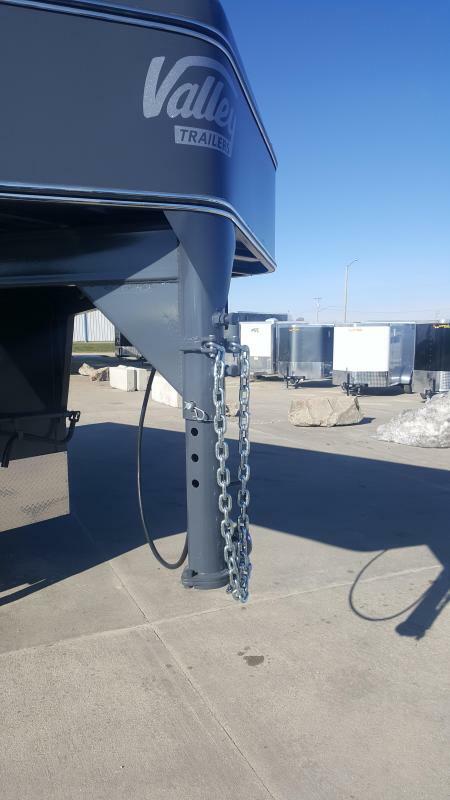 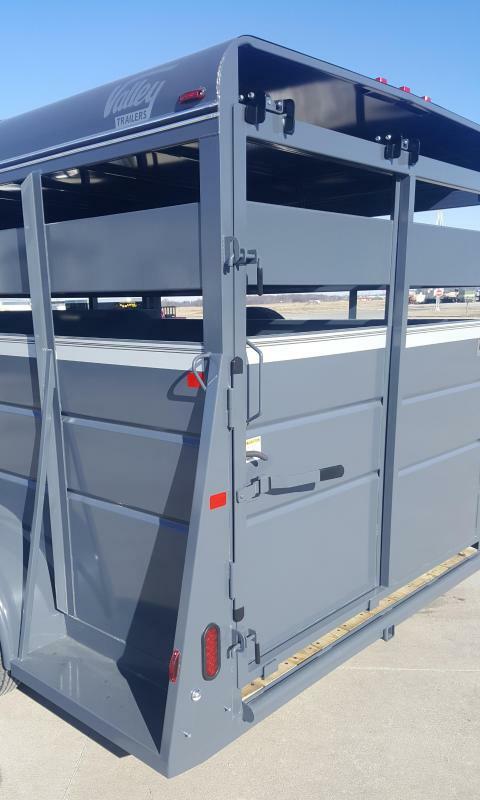 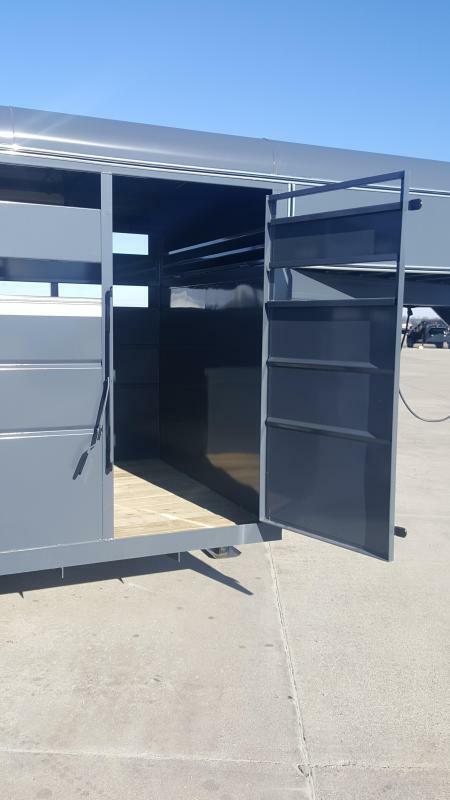 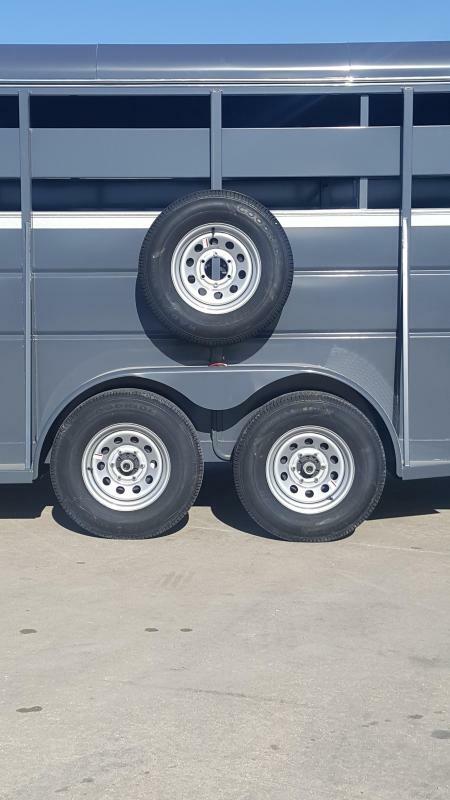 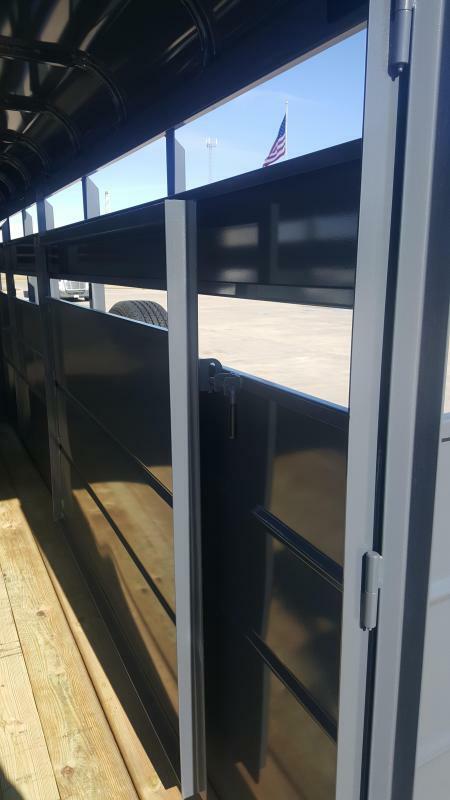 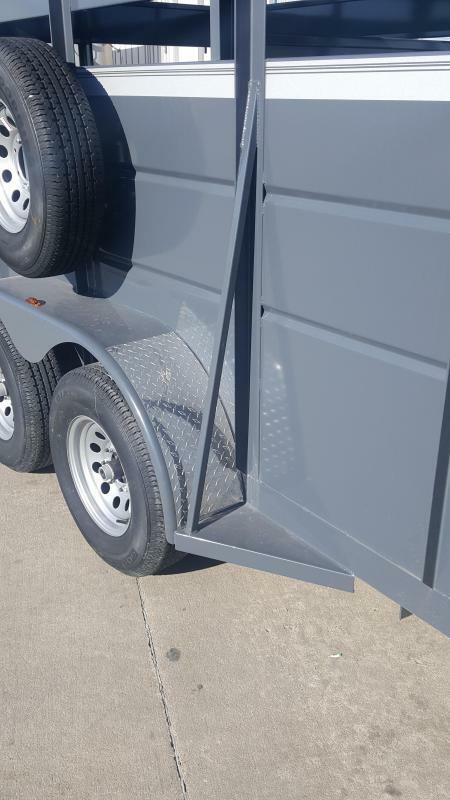 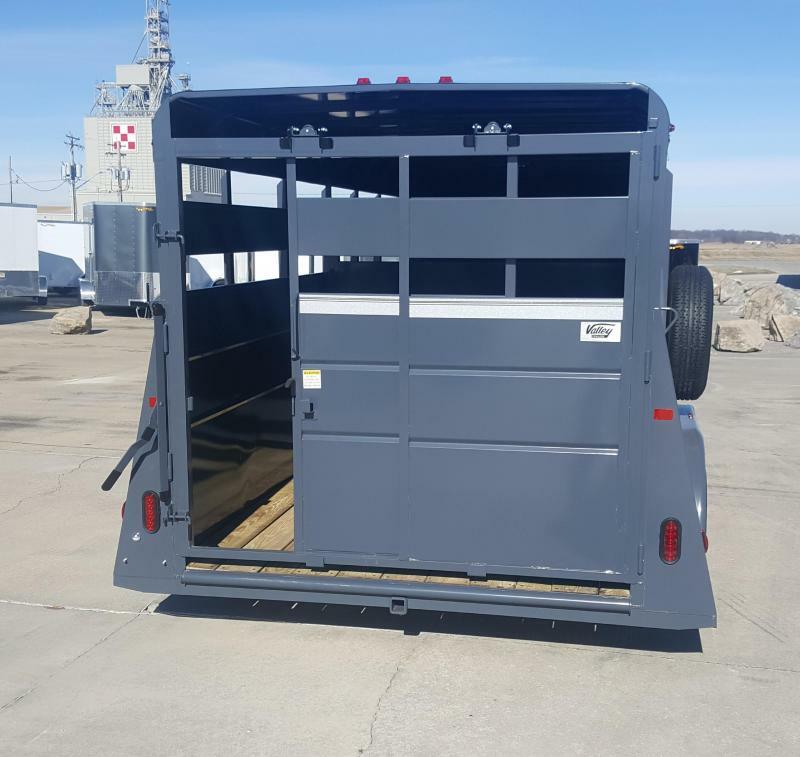 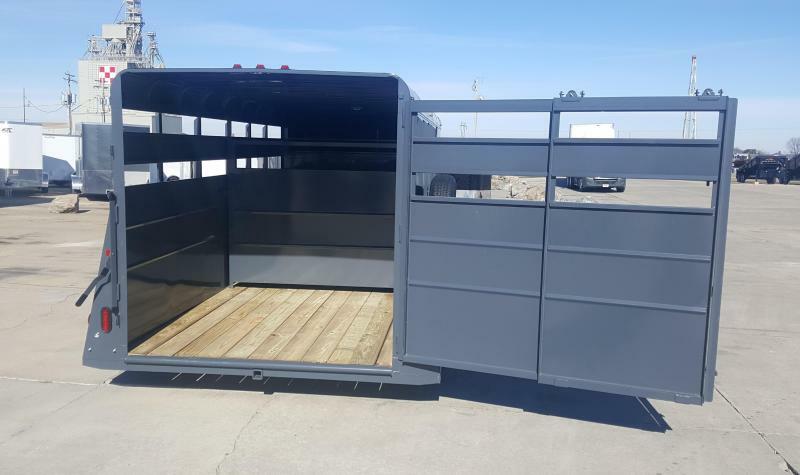 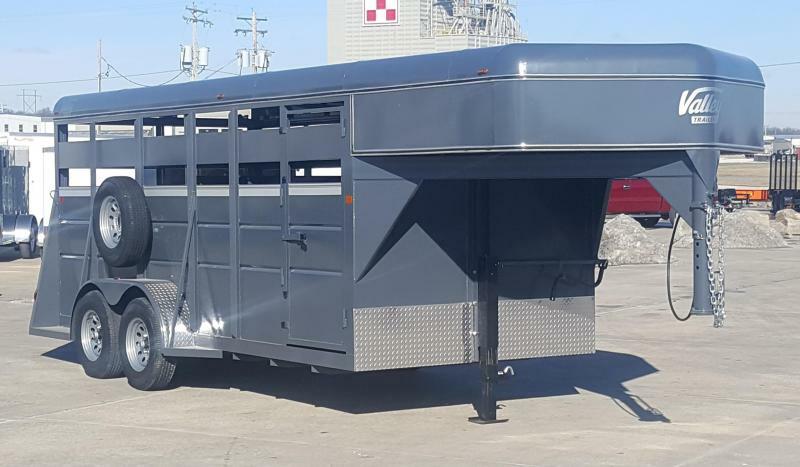 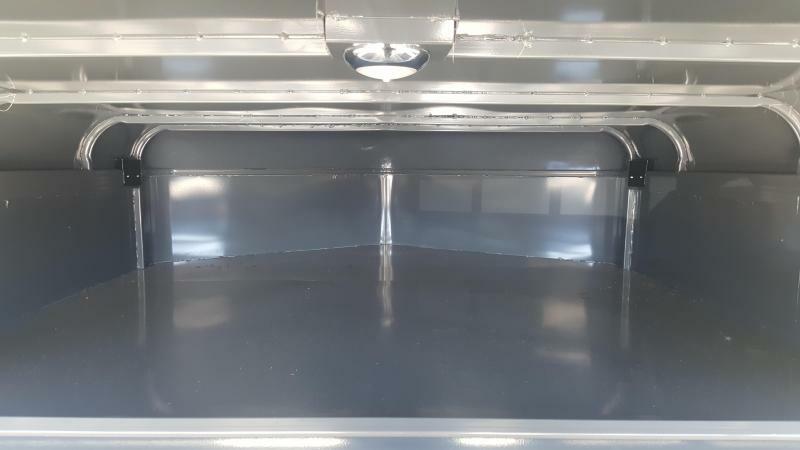 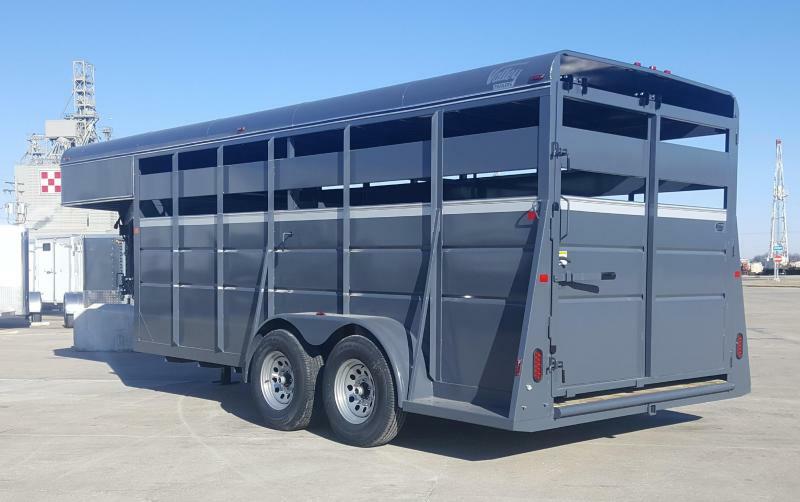 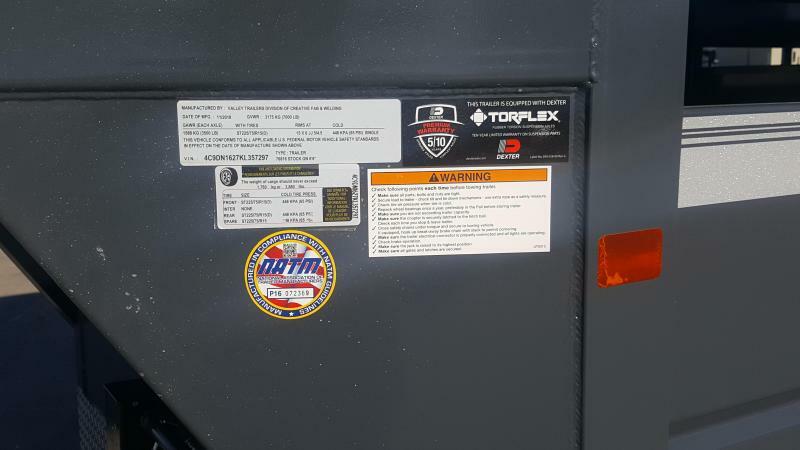 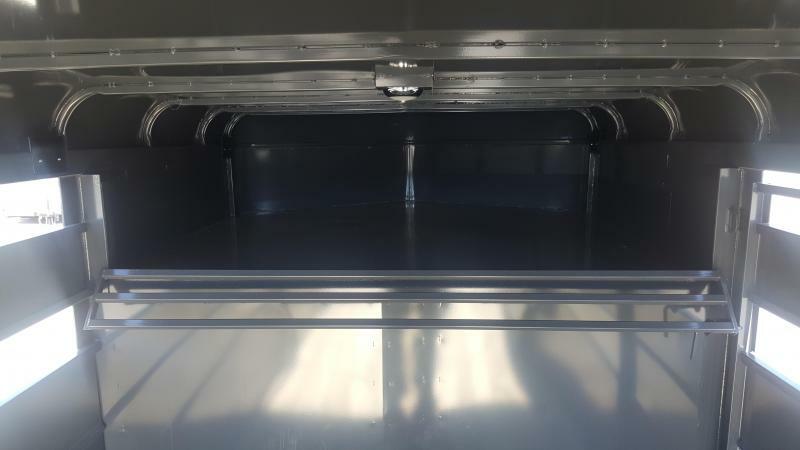 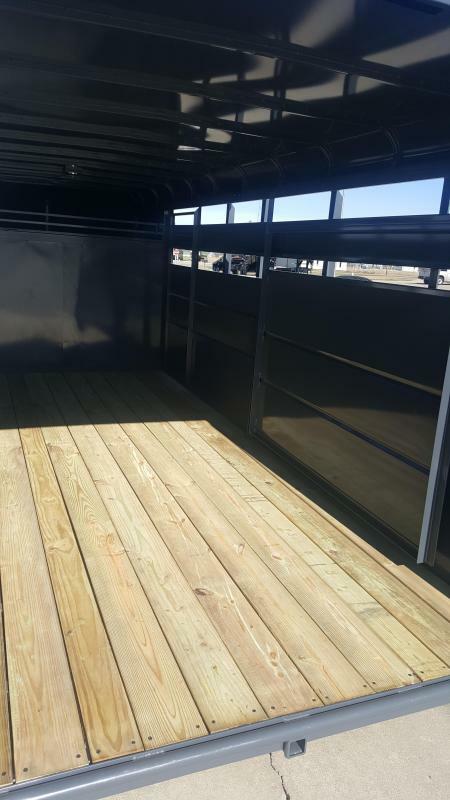 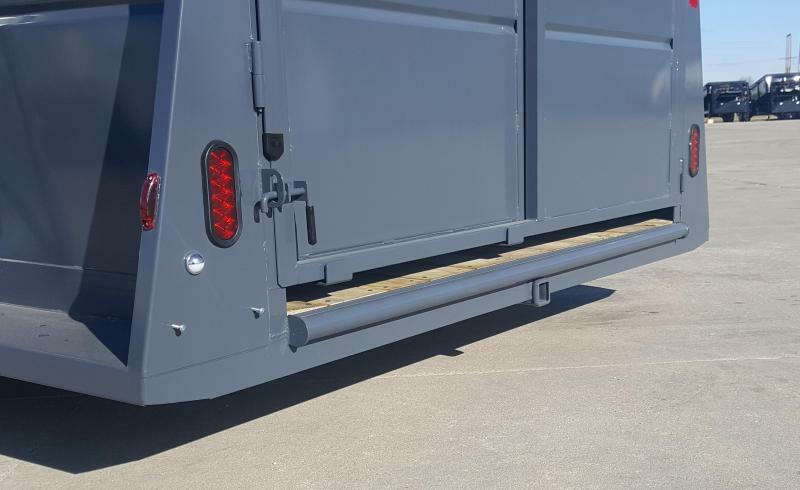 Valley Stock trailers come with safety features installed throughout the the entire trailer; peace of mind for the owner and livestock.